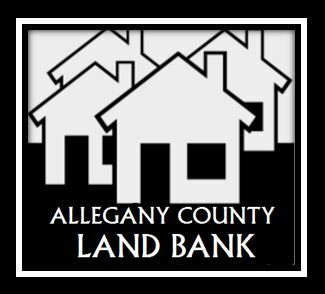 Allegany County, in cooperation with the ACCORD Corporation and other neighborhood partners, has formed the Allegany County Land Bank Corporation (ACLBC). In order to combat the problem of vacant and abandoned properties, ACLBC will be utilized by communities to facilitate the return of vacant, abandoned and tax-delinquent properties to productive use. ACLBC will strategically manage selected residential and commercial properties that have been acquired. The ACLBC will make it affordable for reputable consumers and developers to acquire properties at a reasonable cost, while also helping tenants and owners to keep properties that are in a threat of foreclose or other civil actions. Allegany County is confronted daily on issues associated with abandoned, vacant and tax foreclosed properties. Please partner with the ACLBC to clean-up and secure our communities by notifying the ACLBC of properties that are abandoned, in disrepair, and/or in threat of foreclosure. Combating the problem of vacant and abandoned properties in Allegany County, New York and facilitate the return of vacant, abandoned, and tax-delinquent properties to the tax role and productive use. Eliminating the harms and liabilities caused by vacant and abandoned properties. Making it affordable for reputable consumers and developers to acquire properties through strategic selection of properties. Board meetings are held on the third Monday of every month at 10 a.m. in the small conference room of the Crossroads Conference & Commerce Center at 6087 Transit Hill Rd. in Belmont, NY 14813. 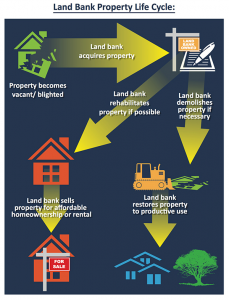 Contact the Land Bank if you want to donate a property to our mission and vision.